Racer Spotlight – Paul Hoffman! Paul was first introduced to karting through rental karts, which really peaked his interest in motorsports. 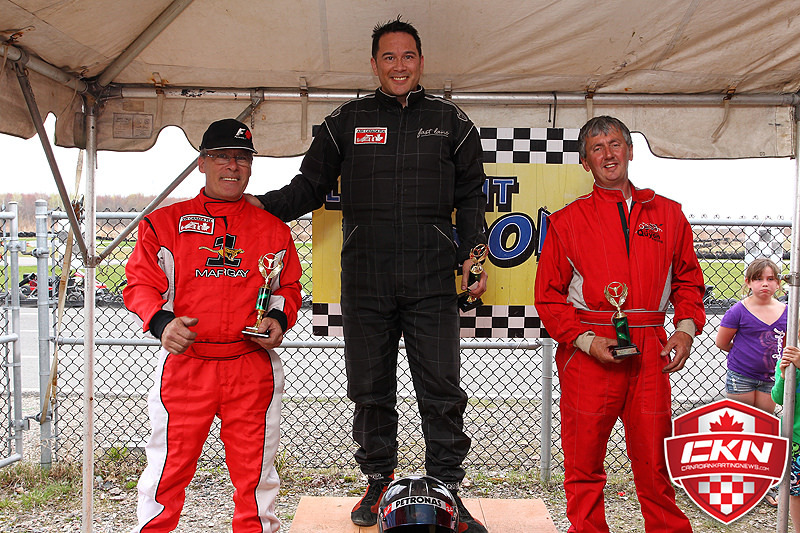 After several lapping sessions, Paul and his father David decided to take it up a notch and join the world of competitive karting in the Ottawa-Gatineau Karting Championship. Paul has the need, the need for speed! He has always been interested in all things fast – be it on a boat, in a car, riding a snowmobile, or flying down a mountain on skis. 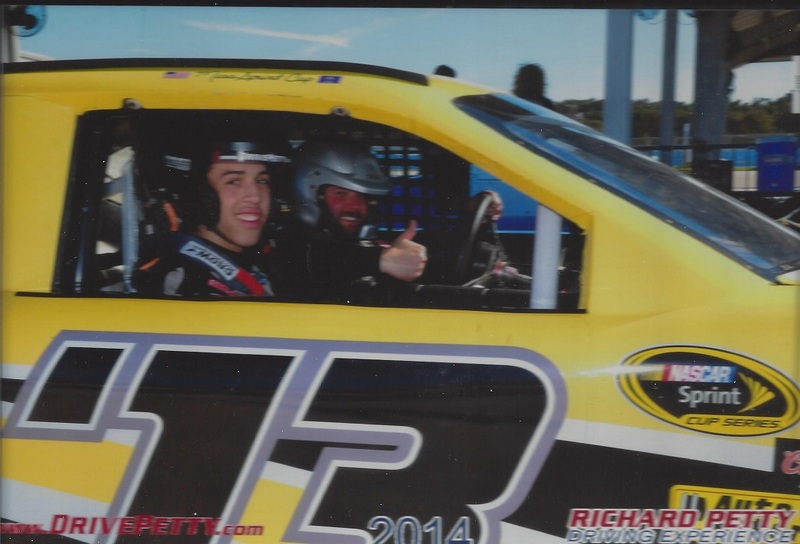 He definitely knows how to go fast, but wanted to learn the ropes of kart racing in a safe and controlled track environment – acquiring a respect for driving and acknowledging that the place for fast driving is at the track, not on the highway! Paul is a big fan of Mosport Kartways and the kart track at Mont-Tremblant; however, his favourite track is Le Circuit Quyon – and his favourite configuration is the full counter-clockwise track because it is both fast and technically challenging. Paul’s favourite driver is Mike “Black Flag” Forget. Paul really enjoys meeting up with Mike as they have quite a jovial relationship – plus he’s fast! He likes Mike’s smoothness at the wheel and perseverance – to finish first, you first must finish! Paul’s objective in the karting world this year is to steadily improve his karting and win a few OGKC events, and hopefully attend the 2016 Canadian National Karting Championships in Mont-Tremblant this September. Aside from karting, he is a competitive downhill skier and a budding guitarist. Paul is a competitive marksman, and can ski with confidence on any double-diamond slope at Whistler? It’s a fact! Being of British heritage, Crawford grew up with a love of motorsports. He watched races in a number of disciplines – Formula 1, British Touring Car Championship, World Touring Cars, DTM, and others. He had always enjoyed spectating, but after moving to Ottawa in 2002, thought he would try his hand at indoor karting at Top Karting (Gatineau, QC). He would do lapping on his own mostly, until he discovered that one of his close friends was also into motorsports. In 2010, Crawford helped establish the Fast Lane Kart Championship – a rental kart series composed of ten federal government employees that all shared a love of karting! The series initially raced at the Complexe Amigo outdoor track on Maloney Blvd (Gatineau) and Top Karting, with one-off races at Mont Tremblant. Over the years, the series transitioned to Le Circuit Quyon and has now become the foundation of the OGKC Rental Kart Challenge. Crawford has several favourite tracks. For karting, he really enjoys racing at Le Circuit Quyon. Its variety of slow, medium, and high speed corners, multiple configurations, as well as elevation changes makes for a challenging experience – if you are fast there, you can be fast anywhere! His favourite F1 tracks are Spa-Francorchamps and Monaco, with an honourable mention to Le Circuit Gilles Villeneuve! His favourite driver is Michael Schumacher. Although Schumacher has occasionally demonstrated questionable judgement throughout his career, his skill and determination are something to be admired. Schumacher started his career in karting, and was the first driver to implement regular fitness activities into his regime to improve his stamina and reduce the likelihood of exhaustion. Crawford is also a fan of Jacques Villeneuve, Mika Häkkinen, and Kimi Räikkönen. For 2017, his goal is to continue to do well in the Briggs & Stratton Masters category. He is hoping to put his kart on the podium at the remaining events this year. 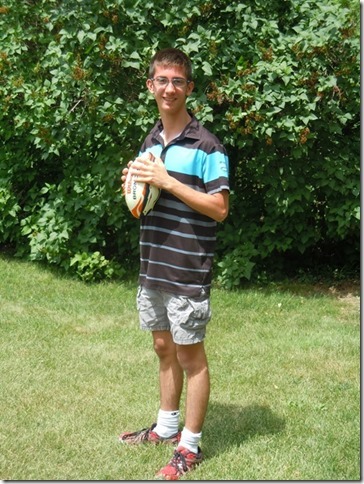 OGKC Spotlight Series – Jonathan Séguin! Jonathan was first introduced to karting through lapping in rental karts. It all started in 2006 at Top Karting in Gatineau, QC where he and would go and do some lapping on his own, with family, and friends! As soon as he started karting, he knew that motorsports was in his blood. His first experience in rental racing competition was with his father – in 2011 and 2012, he raced for “Team Justice” in the Government of Canada Workplace Charitable Campaign (GCWCC), first at Complexe Amigo in Gatineau, QC and latterly back at Top Karting. In 2013 and 2014, he raced in the Fast Lane Rental Kart Championship, an outdoor rental kart series based at Le Circuit Quyon but with one-off races at both Complexe Amigo and le Circuit Mont Tremblant. In 2015, the Fast Lane series melded with the OGKC, to form the basis of the OGKC Rental Kart Challenge. Jonathan’s favourite track is le Circuit Mont Tremblant (l’Académie de Karting Jim Russell), which he has raced on several occasions. He also enjoys the counter-clockwise full track layout (which includes the challenging fish-hook) at Le Circuit Quyon. In the near future, he is looking forward to trying the SRA track in Saint-Roch-de-l’Achigan, KCR Karting in Château-Richer, and SC Performance Karting in Saint-Célestin. From a driver perspective, his idol is legendary F1 pilot Ayrton Senna. In DTM racing, he is a big fan of Canadian racer Robert Wickens. Another Canadian racer that he supports is Antoine l’Estage, a Quebec-born rally driver who has won several events across North America. 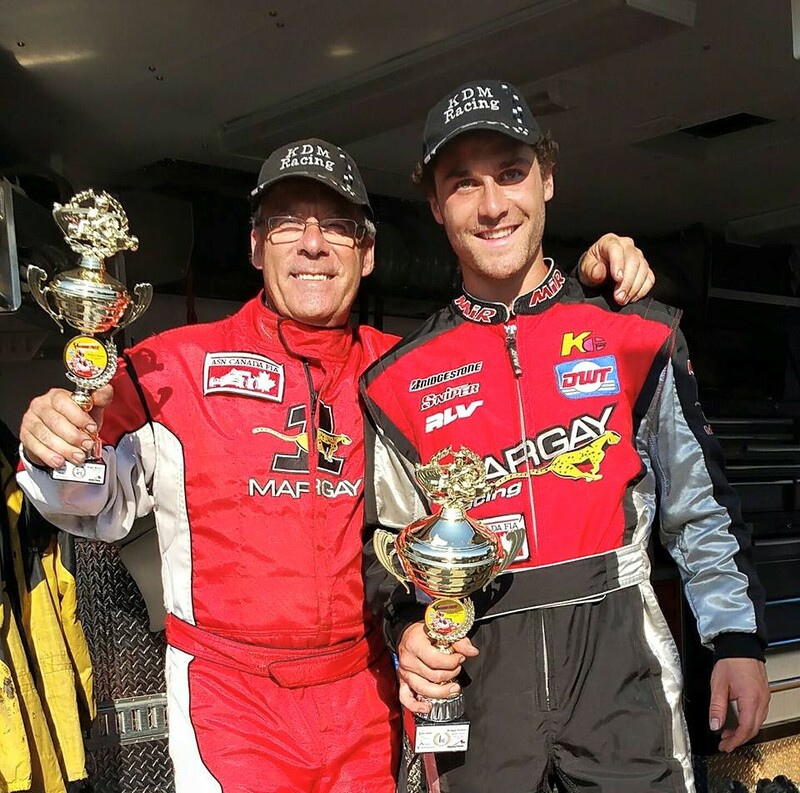 For 2016, his goal is to win his second OGKC Rental Kart Challenge crown, and stay in shape to compete in the physically challenging year-end enduro at Le Circuit Quyon. Once his children get a little older, he plans to purchase his own racing kart and work his way to the top of the box in the Masters category of the OGKC! Those sound like fighting words Jonathan! OGKC Spotlight Series – Michael Forget! 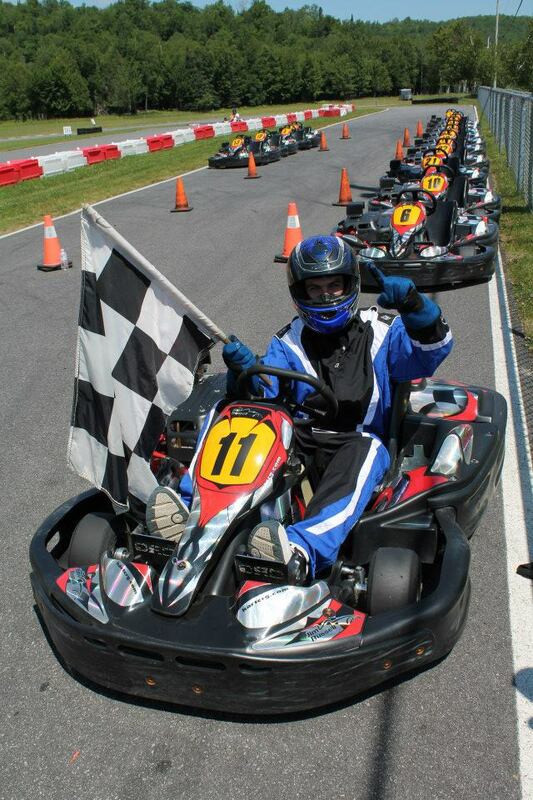 Michael, like many of the Ottawa-Gatineau Karting Championship’s racers, was first introduced to karting through lapping in rental karts. It all started at Top Karting in Gatineau, QC where he and his father would go on a weekly basis. Not long after, Michael started competing in the indoor rental kart winter series at Top Karting – then his interest escalated to outdoor karting! In summer 2010, the Forgets bought their first karts and started competing in National Capital Kart Club (NCKC) events. 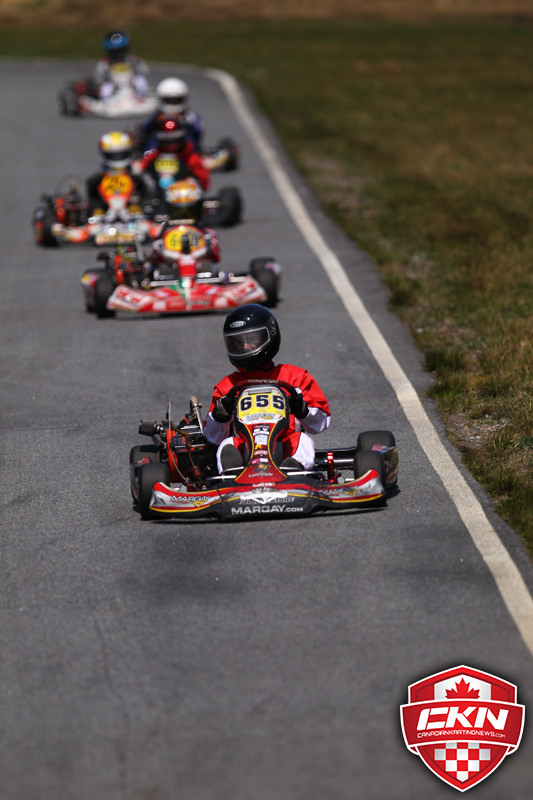 In winter 2012, Michael had saved up enough money to purchase his first Tony Kart – equipped for Rotax racing. 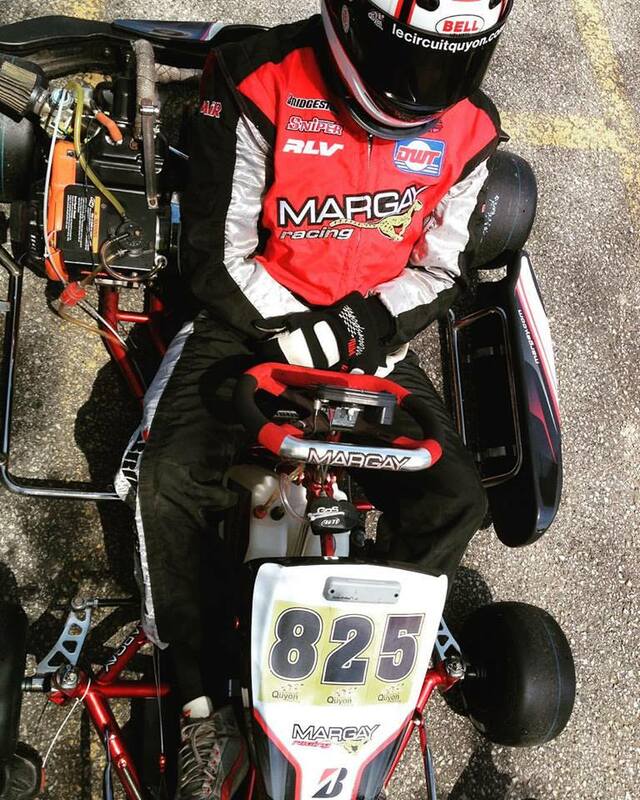 In 2014, he swapped his Tony Kart for a Margay (still Rotax), and in 2015, he fully committed to Briggs & Stratton 4-stroke racing for Margay Racing Canada! The rest, as they say, is history! Michael’s favourite track is the 2014 layout of Le Monaco de Trois-Rivières. The 2014 event was his first time participating in the event, and he really enjoyed the tight nature of the track, with no run-off areas and no room for forgiveness – just like the real Monaco Grand Prix! In 2014, there were over 30 competitors in the Senior Rotax category which made for a truly exhilarating experience. Michael is a big fan of Jenson Button, the 2009 Formula 1 World Champion and current driver with the McLaren Honda F1 team. He admires Jenson’s driving style – smooth, intelligent, and fair – rarely making any errors in judgment. Jenson is a superstar in changeable conditions, clearly demonstrated in his triumphant win at the 2011 Canadian Grand Prix. Michael seems to be emulating his racing idol! 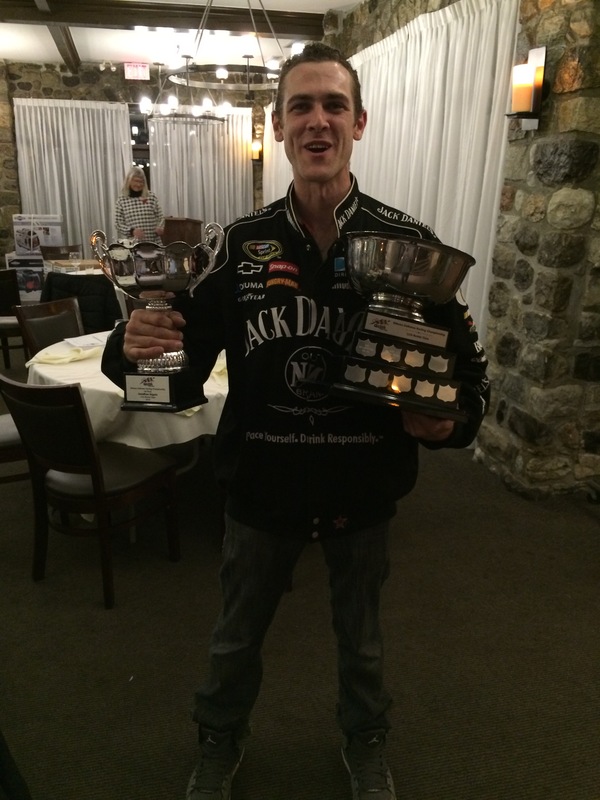 For 2015, Michael’s objective is to challenge for the win at the ASN Canada FIA Karting Championship. This year’s race is being held at Mosport Kartways at Canadian Tire Motorsport Park in Bowmanville, ON. Michael had a good warm-up at a recent Eastern Canadian Karting Championship (ECKC) event hosted at Mosport Kartways, finishing 4th in Race #5 of the series (out of 31 racers). 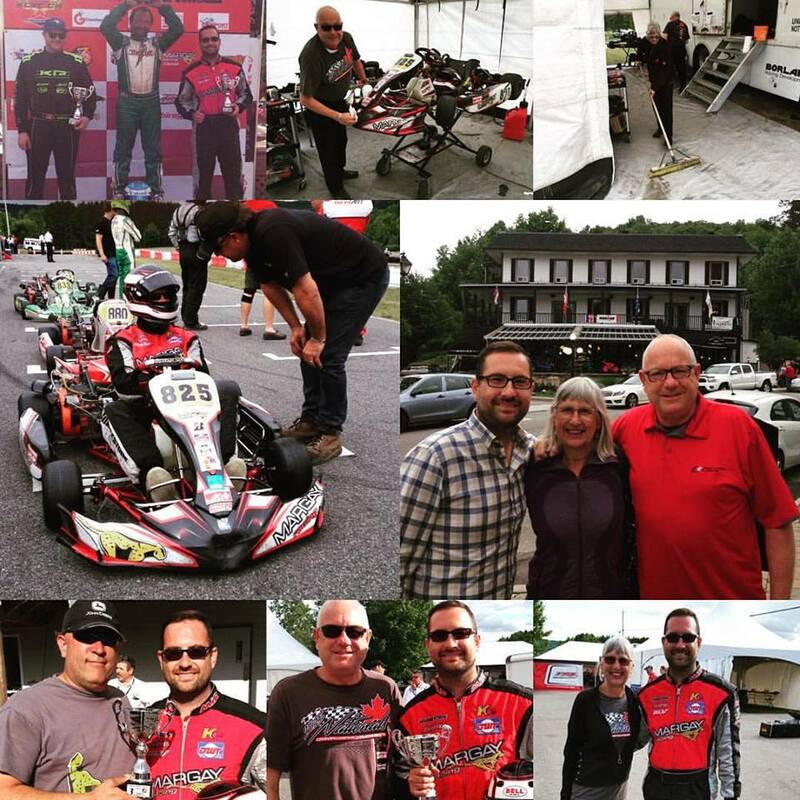 With three races left in the 2015 Ottawa-Gatineau Karting Championship, Michael is leading the Briggs & Stratton Senior category by 39 points. He will need to work hard over the next three races to ensure he stays ahead of hard-chargers Mike de la Plante and Jamie Hynes! OGKC Spotlight Series – Owen Clarke! Owen never had a chance to escape the racing addiction. He grew up in his Dad’s race shop and gained exposure to motorsports competition in track paddocks all over North America. Owen could always be found asking for rides in the passenger seat of fast track cars, even when he couldn’t see over the dash! At the age of seven, Owen started driving old beater field cars at his family’s rally cross track, and was accomplished with a manual transmission by the time he was eight. Since that time, he has gained experience in a Group 5 rally car and lapping in a BMW E36 Chumpcar as well as a BMW E30 M3 Targa Rally Car. Owen had his first taste of karting at four years old, and attended karting camp at Mosport at the ripe old age of ten. He really enjoys the competition with his fellow racers, while learning and experiencing karting’s technical aspects. In 2015, Owen is competing in the Ottawa-Gatineau Karting Championship (OGKC), the Champion Ron Fellows Karting Challenge, and the Eastern Canadian Karting Championship (ECKC). His two favourite tracks are Mosport and Le Circuit Quyon, and his favourite racing team is Red Green Racing with team drivers Roy Hopkins, Adrienne Hughes, Danny Corcoran, and Glen Clarke. Owen’s objectives for 2015 are to enhance his karting skills by participating in regional and national karting competitions, and closing the gap to the top Junior racers in the ECKC. 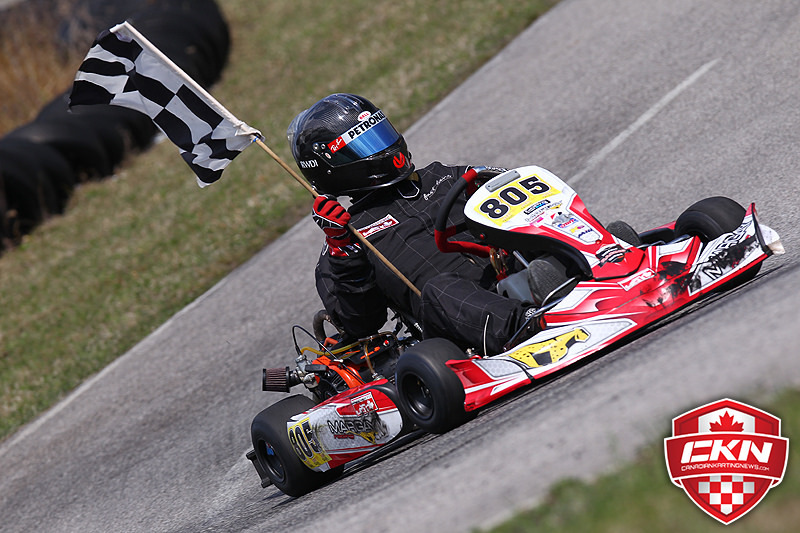 Owen has had great results so far this year – come out to the track and cheer him on as he challenges for the overall OGKC Briggs & Stratton Junior championship! 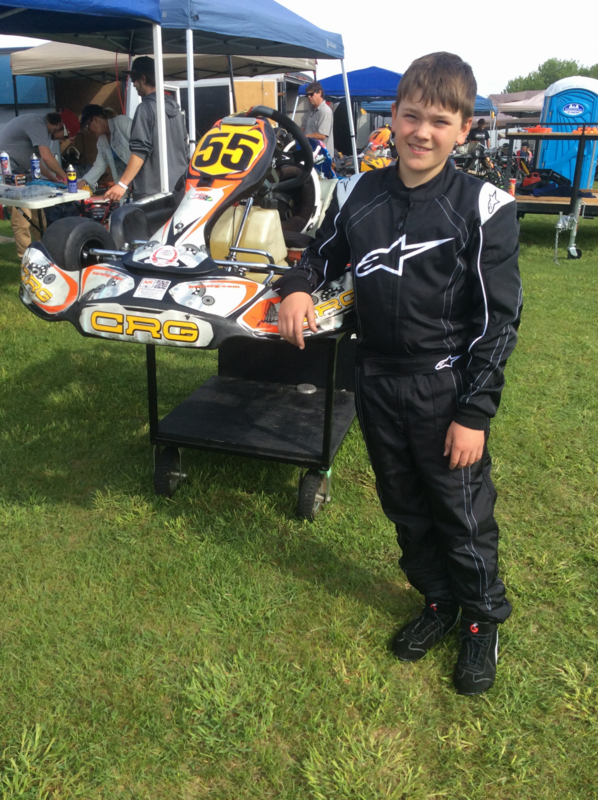 OGKC Racer Profile – Henry Knox! Henry got into racing because his Dad didn’t want him to become a couch potato playing video games all day! Luckily for Henry, his Dad Scott took him out to the track at Le Circuit Quyon and got him hooked on racing. In real life! Henry tried out the rental karts a few times, and took the “Karting 101” course offered by the track. Once he knew karting was for him, he worked and worked and saved and saved and eventually purchased an Arrow Kart from former NCKC President Greg Jewell. Henry’s favourite karting track is his home track of Le Circuit Quyon, but his favourite race-car track is Daytona International Speedway! Henry was fortunate to have gone there with his Dad two years ago to watch the Budweiser Duel. From a NASCAR perspective, Henry is a big fan of six-time Sprint Cup Series Champion Jimmie Johnson. Henry also cheers for Fernando Alonso, the 2005 and 2006 F1 World Champion. Those are two great drivers, and Henry will be trying to follow in their footsteps to get to the top step of the podium! Henry’s objectives for the 2015 season are to try as hard as he can, put in a good effort, and make it onto the podium as often as possible. Those are great objectives! Best of luck to Henry on his 2015 campaign for the OGKC Junior Championship!